Designing a shopping experience that was worthy of a 100 year brand with such a rich American history was an honor. It was a challenge to create a program that would work in a variety of buildings while presenting a consistent brand message in each one. 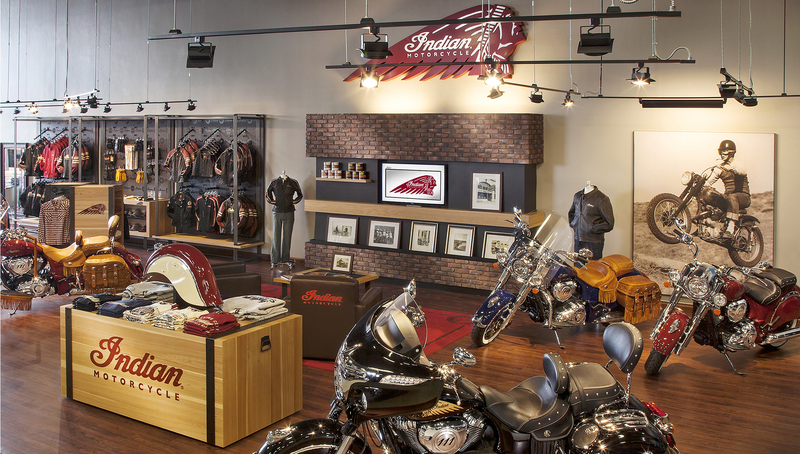 By using authentic Americana materials we created a retail shopping environment that would appeal to a biker. We used red brick, natural hickory, cold rolled steel and experiential lighting. The shopping environment needed to engage and guide the consumer through the buying experience.